This object is a white plastic box decorating with paper covered in writing/diagrams. Two grey plastic spouts stick out at right angles from two faces, these are screwed into sockets; one socket is missing its spout. There is a metal tap handle covered in red plastic on another face. Dimensions (cm): Height = 25, Width = 25, Length = 14. 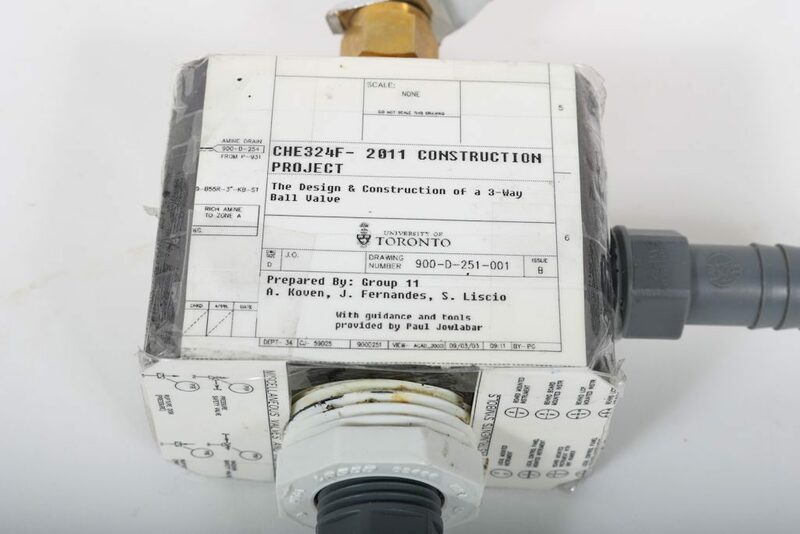 This object was built to demonstrate the design and construction of the 3-way ball valve. Good. The item is missing one of its grey spouts but otherwise appears to be in the condition it was when it was completed. 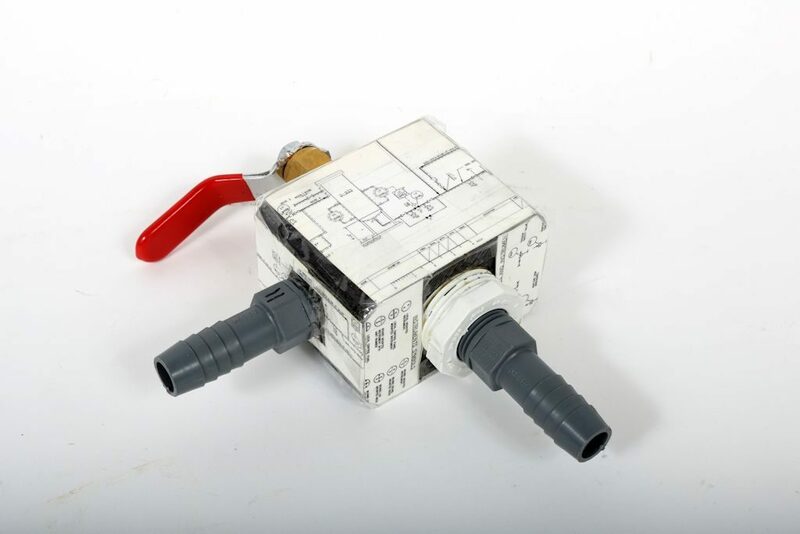 This object was made by third-year undergraduate students in Professor Paul Jowlabar’s class CHE324F in 2011 in order to demonstrate the design and construction of a 3-way ball valve. It was retained by Jowlabar following the class to act as a demonstration piece for future classes, and donated to the collection for the 2017 UTSIC Exhibit, “Untold Stories”.